Libya’s defense minister quit on Tuesday only to reverse himself soon afterward, the prime minister’s office said, and gunmen pledged to keep two ministries under siege in a crisis pointing to a security breakdown in the young democracy. Armed groups seized the Foreign Ministry on April 28 and ringed the Justice Ministry two days later to push parliament into passing a law barring anyone who held a senior position under late dictator Qaddafi from public service. 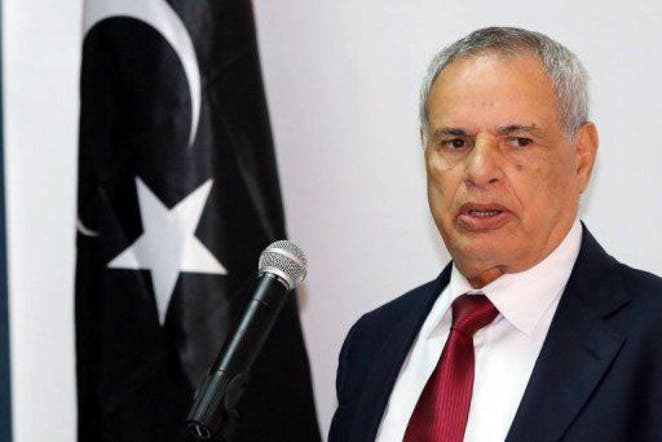 The Tripoli parliament did precisely that on Sunday but the gunmen have refused to disperse, insisting the entire government step down and prompting Defense Minister Mohammed al-Barghathi to resign in frustration at the feebleness of security services. “I will never be able to accept that politics can be practiced by the power of weapons ... This is an assault against the democracy I have sworn to protect,” Barghathi, who was an air force commander in the Qaddafi era, told a news conference. Two hours later the prime minister’s office said Barghathi had agreed to stay on the job. “The prime minister [Ali Zeidan] persuaded that this was not the right time,” a source in Zeidan’s office told Reuters. Many of the armed men were instrumental in ending Qaddafi’s 42-year rule in 2011. But they have declined to vacate the capital Tripoli and various militias and tribes now control large swathes of the vast, oil-producing North African country. The already shaky central government could be rendered largely dysfunctional if the new law is fully implemented to oust senior ministers and officials seasoned in public service, diplomats and analysts fear. However, leaders of the armed groups besieging the ministries said that they would not fall back unless the entire government resigned. “Our demand was, from the beginning, for the General National Congress [parliament] to withdraw its confidence from the government,” said Wissam Bin Majid, a leader of one of the armed groups at the Foreign Ministry. “It does not matter whether the political isolation law is implemented after a month or a year, this government must step down now,” Majid said. “This would send the wrong message that the power of the gun rules supreme, that the government will cave to pressure under the threat of violence,” said Andrew Skinner, Middle East and North Africa director at risk consultancy Maplecroft.